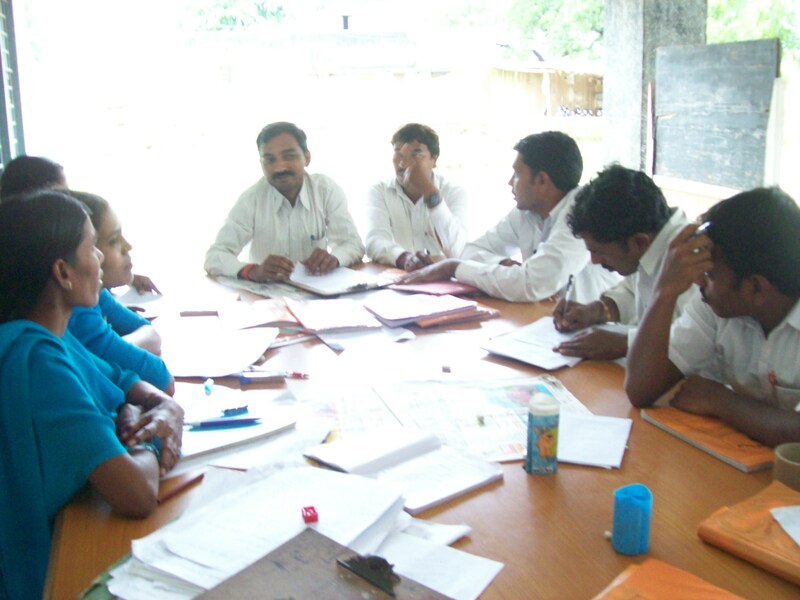 At RDF Redlawada School, demo classes are conducted for teachers twice a month. Each teacher takes one lesson and demonstrates it to other teachers. By observing this, other teachers are able to share the merits and demerits of the approach followed. This allows teachers to get feedback from their peers and improve their overall teaching. The teachers sharpen their knowledge base, teaching technique and skill, enabling RDF to give our students the best possible education. Full utilization of every resource is a principle we implement in all our schools. 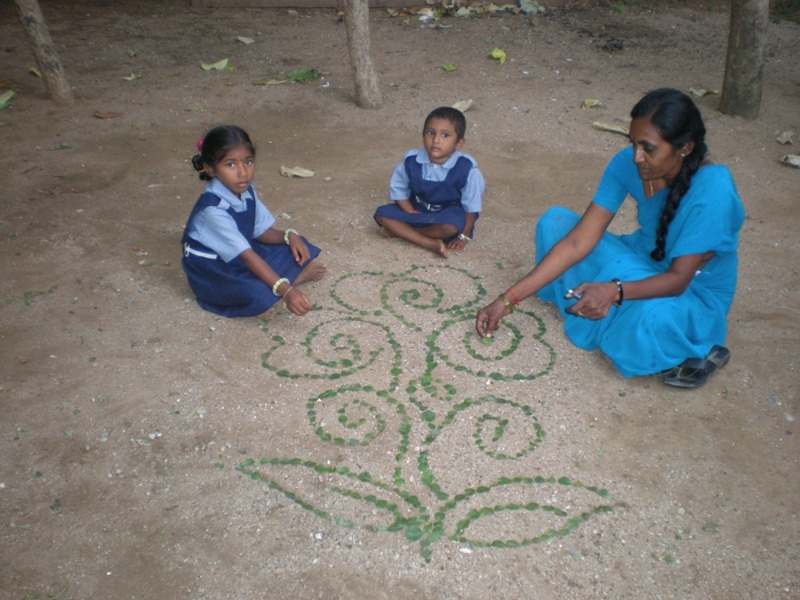 We do not believe in wasting anything, and RDF Wadlakonda School has innovatively applied this to their teaching and learning process. Ashoka trees near the school yielded fruits which weren’t consumed. Teachers and students gathered these unutilized fruit and dried them. These dried fruit are now used as learning and teaching tools. Math teachers use them to illustrate counting numbers, addition and subtraction. Students use them to depict maps, flowers or even diagrams of internal body parts in the curriculum. 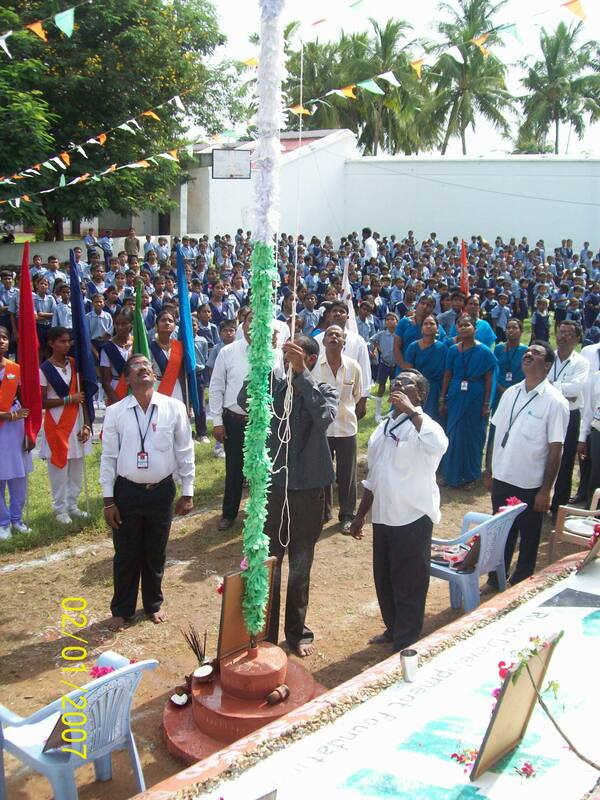 On the occasion of Independence Day, RDF Kalleda School was proud to invite an alumnus, Sri Banoth Seethya to hoist the flag. For the past eight years we have trained students with new skills in relation to agriculture, Sri Banoth Seethya implemented these skills which resulted in a very large agricultural yield. This even enabled him to purchase new agricultural land. We are proud of his achievements and were immensely happy to see him encourage current students to achieve more. Not only did he suggest best practices for agriculture, but he also advised students to pursue vocational practice along with their education. He shared that there is a great sense of satisfaction of standing on your own two feet using the skills you have learnt during schooling. Vinayakachavithi (festival for lord Ganesha) is celebrated annually through schools, however RDF differs by ensuring the principles of conservation and preservation are followed even in cultural festivities. 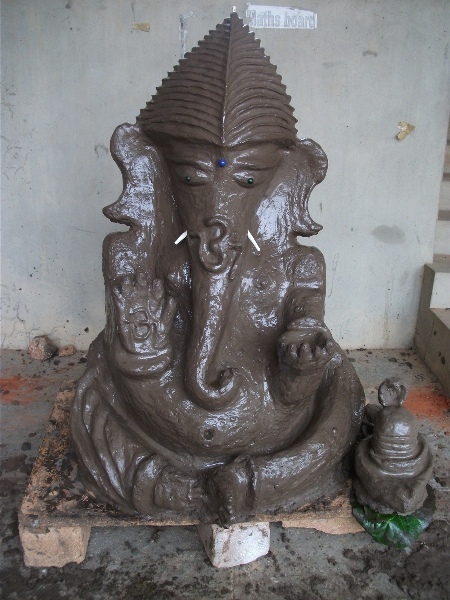 The idol of Ganesha was built by the students from clay taken from the local pond. We replace the usual plastic sheets used to cover idols, with naturally available leaves from trees. When the festivities are over the idol is immersed in the same pond from which the clay was sourced, thereby ensuring zero pollution. Along with this, students and parents are a part of the daily festivities by offering prayers on a daily basis. This instills in them traditions and culture that are a part of their heritage. 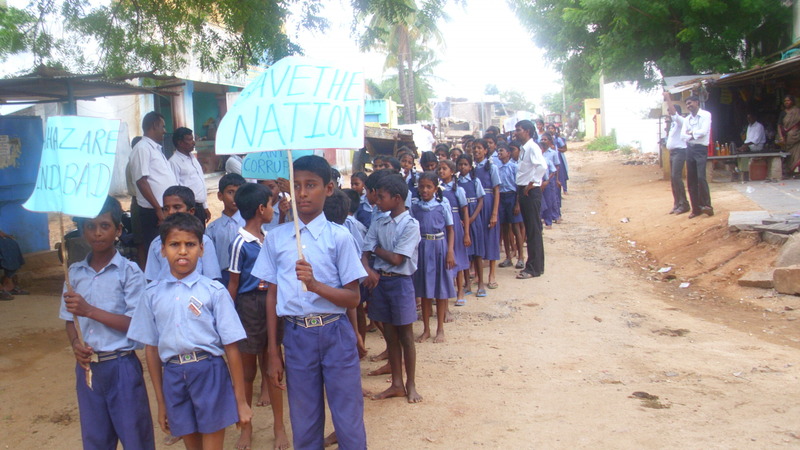 As the nation comes out in support to fight corruption by showing allegiance to Anna Hazare, the students of Narsimpalli School also do their part. Anna Hazare, a social leader determined to fight corruption in the country had the support of the students by way of a rally. The rally which took place in the village was aimed at spreading awareness about the trouble faced in society due to the evils of corruption. Spreading awareness in their immediate society inculcates a strong set of values and beliefs in the students which will stay with them through their lives.